“Young Freddie” is an original, one-of-a-kind, unique oil painting on canvas, hand-signed by the internationally recognized and acclaimed artist, Red Skelton. 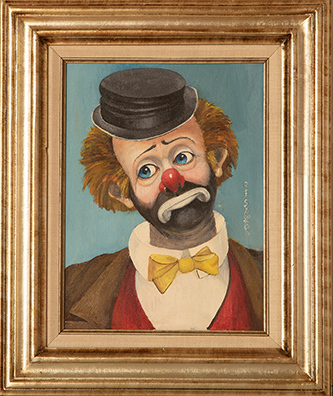 The artist further confirmed its authenticity on the verso in writing: “By Red Skelton.” The wonderful painting measures 16” x 12” and is beautifully framed. 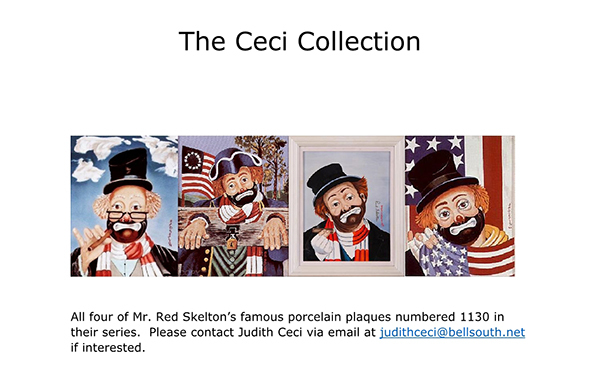 “Young Freddie” was created circa 1975 and represents a portrait of Freddie the Freeloader, one of Mr. Skelton’s most beloved fictional characters featured during his award-winning television shows from 1951—1972. Freddie, played by Red, lived in the city dump and was very poor. However, Freddie always helped others who had even less, and he was known to entertain young children who were hospitalized. To purchase or request more information contact the seller below.